One of the first paper dolls I did with heavy shadow, I just realized recently that I forgot to give her eyebrows. Maybe I can pretend it was intentional? I think I will. She;’s kinda ancient, but also sorta fun. 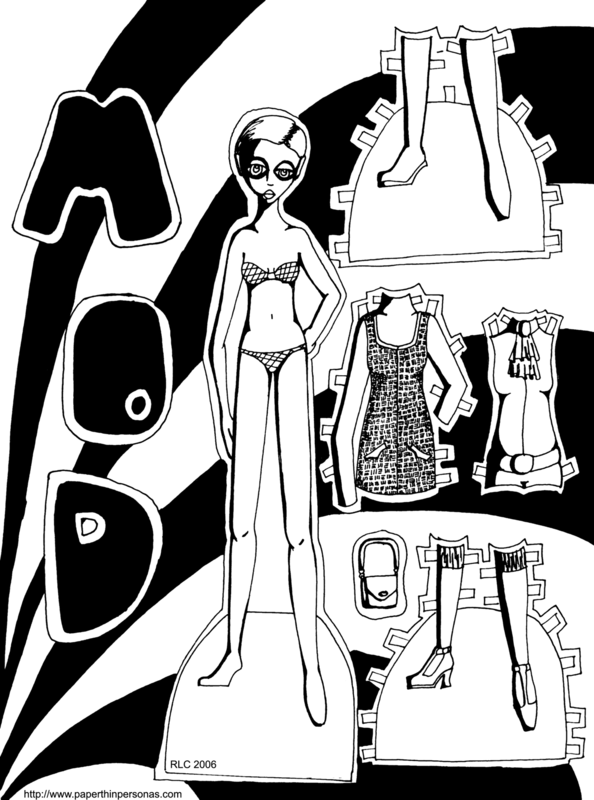 I had a request from a regular commenter named Sara to do a Marisole paper doll post in black and white. I thought- Sure, I can do that. How hard can it be? I forgot what I learned from doing a Marisole post in two different color schemes (a gothic scheme and a pastel scheme) that it’s harder than you might think. Still, I think the outcome is rather fun. 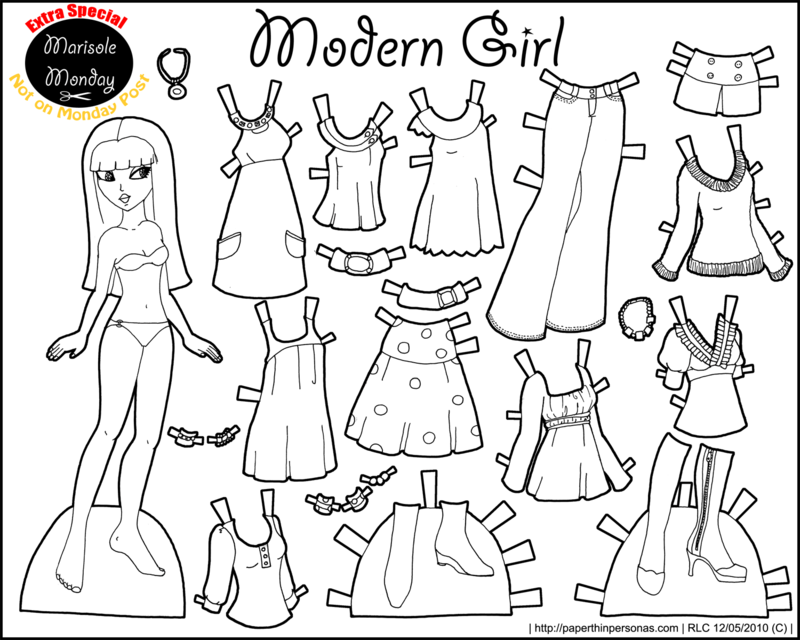 I openly confess that I never thought of Marisole in black and white, but I think the paper doll is cute in that format. And it gives people a chance to color if they wish. When I was working on it, I did think maybe I’d start regularly posting Marisole in both styles, but then I decided that was just too much work. Today’s Marisole paper doll started as an attempt to a modern take on some fun Mod clothes and then kinda turned into just a bright citrus based series of Marisole clothing. This is the sort of clothing I would never wear, but would admire and be glad other people wore it. After all, I can live vicariously through my paper dolls.